Sunrays hit the small terrace and transform the outdoors into atmospheric lighting. 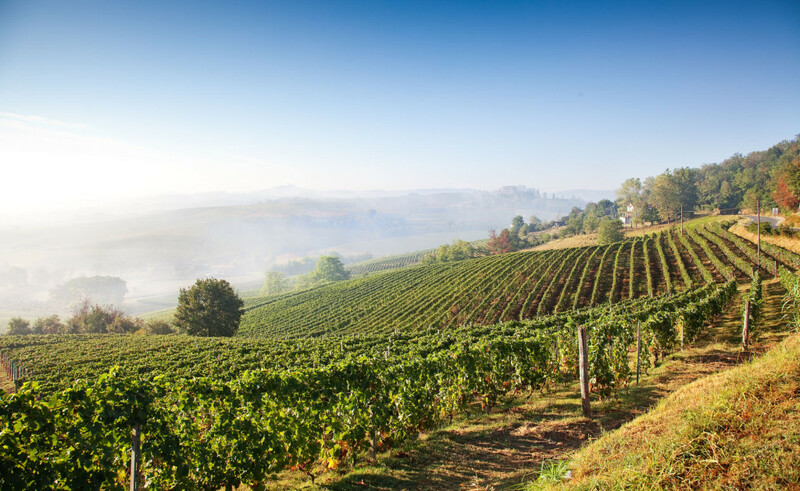 As you look out from here, you will be captivated by the vivid colours of the vast vineyards. Here, in the midst of a breath-taking landscape, is a small, family-run winery which captivates with its typical Italian charm. Surrounded by green hillsides and countless vineyards, is the estate’s rustic guest house. Not far from the small town of Barolo, famous for its wine of the same name, it is the perfect choice for a fabulous wedding in Piedmont. The idyllic location of the small terrace is perfect for a cosy, rustic dinner on the eve of the wedding. Regional delicacies and tasty wine already give a small taster of the wedding dinner to come the next day. This cosy space makes the ideal setting for a delicious brunch on the morning of the wedding, too. For the celebrations of the wedding itself, there are spacious outdoor areas with a breath-taking view of the dreamy Piedmont landscape, as well as – in the case of bad weather – a beautiful hall with rustic facilities. The large garden around the winery is suitable, not only for a romantic wedding reception in the open air, but also for a symbolic civil marriage in the open air. You can start the celebrations, after this unique day, with a cosy aperitif with small appetisers and refreshing beverages. Afterwards, the wedding menu is another highlight which awaits the bridal couple and their guests. Delicious dishes, refined with regional products such as vegetables, fruit, rice or truffles, ensure a very special culinary experience. All this is served with homemade wines, for which the region around Barolo is world famous. The dry and harmonious tasting red wine of the same name, is one of the most reputed Italian red wines. 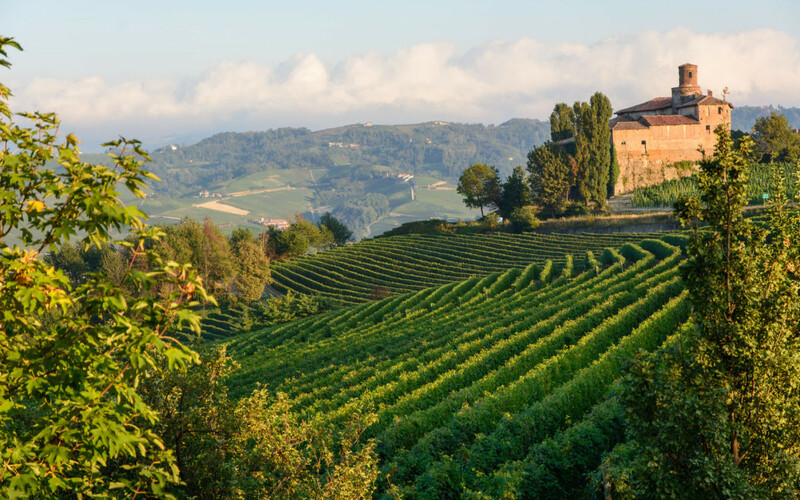 This combination of rustic-Italian flair, culinary specialties, excellent wines and a picture book landscape makes Piedmont an absolute insider tip for an unforgettable wedding in a vineyard in Italy!